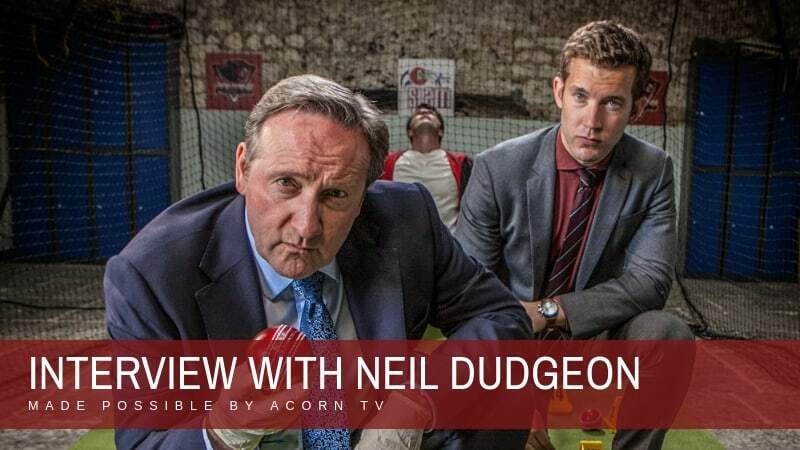 Recently, Acorn TV let us know about an opportunity to interview Neil Dudgeon – and as huge Midsomer Murders fans, we jumped at the chance. We had a great chat, and he was a really lively, very gracious interviewee (with a fantastic dry wit, as you'll see later in the interview). 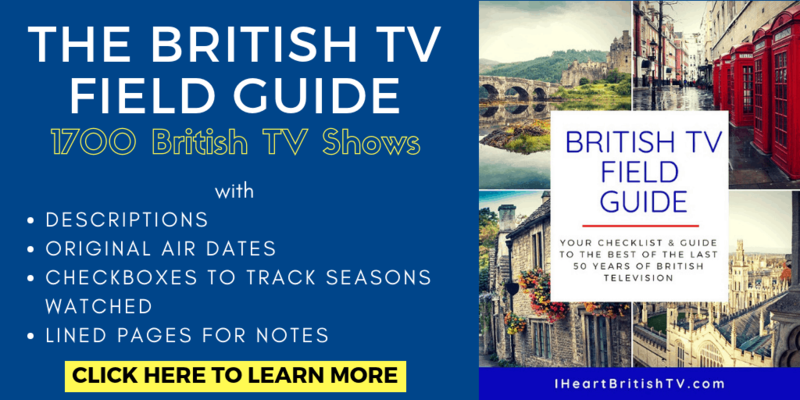 In case you didn't already know, you can watch all 20 seasons of Midsomer Murders on Acorn TV, along with another 250 or so British (and Australian, Canadian, New Zealand, and European) shows. Even better, they recently opened it up to Argentina, Chile, Colombia, Costa Rica, Ecuador, El Salvador, Guatemala, Honduras, Mexico, Nicaragua, Panama, and Peru – so if you haven't been able to get Acorn TV in the past, it may be an option for you now. What he really thinks about Midsomer's murderous reputation..
Editor's Note: We went back over the transcription to make sure everything looked right, but if there's something that doesn't quite make sense, please do chalk that up to a bad cell signal or transcription error. Mr. Dudgeon was in a vehicle on a rainy day at the time of our conversation, so it wasn't always 100% clear – but we'd rather bring you the full transcript than summarize it with a few short clips. How else are you going to appreciate the full force of his fantastic sense of humor? 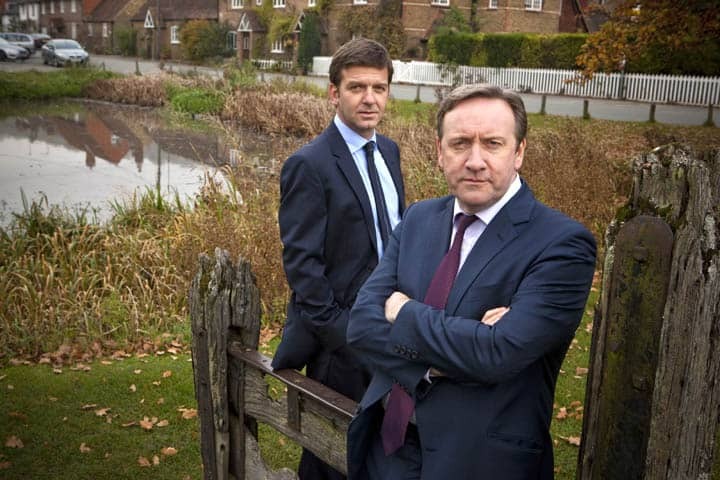 What is it that makes Midsomer Murders so great and keeps people hooked? I think it’s really…it’s a fun show. I think people know what they’re going to get and they like what they get. As a fan of the show myself for many years before I started being on it, I always loved the countryside, the locations, the little villages that we’re in and the beautiful houses we film in. You’ve got all that. We’ve got wonderful guests, we’ve got wonderfully inventive stories, and the dog. People love the dog. And I think people do like the whodunit mystery sort of thing, and we have sort of, slightly unlikely methods of murder, which people seem to like. I think it’s the whole combination. And the feel, I think it’s got a tone, a feel – comfortable and entertaining and fun about it. I think that’s why people have stayed with it so long. Speaking of the entertaining and outlandish murders, do you ever find it really hard to keep a straight face while you’re talking about some of these deaths? Umm, no, because I’m a tremendous professional, really Stefanie. (laughing) The murders are slightly surprising sometimes. We’ve had so many great murders, it does make you wonder about the mentality of the writers sometimes, coming up with these things. And also, the different locations, because every episode, oh it’s set in a flower festival or a jazz festival or a writer’s meeting or the beekeeper’s club or something. And they keep coming up with it, 130-odd episodes, they keep coming up with sort of different loci, or whatever they’re called, places to set the stories within. But we’ve had some great writers over the years and they’ve done some great, and some slightly crazy things. There was one I thought was very bizarre, a man was found dead, tied to a tree with his shirt torn open, he’d been smothered in truffle oil and eaten alive by a wild boar. I thought that was kind of great because it was so, it was kind of so strange, and so detailed. It wasn’t a sort of, we tend not to dwell so much on the murders where somebody’s been sort of whacked over the head or shot, or something like that. It has to happen in rather more extravagant circumstances. We do enjoy those, and obviously, they’re a part of the show that people do enjoy. I know writers and producers and directors spend quite a lot of time trying to come up with fun and interesting ways of dispatching our guests. Do you ever personally brainstorm those, or have one you’d like to see in a future episode? I’ve often thought I’d love to think of a story for an episode, or an exotic murder, things like that, but I don’t know whether it’s not the way my mind works, or something, but I’ve never really come up with anything like that. My only contribution honestly, is that when I first see a draft of the script, if there’s things in it. I only perform the job of sort of being this new critical eye who appears when other people have been pouring over the script for weeks, months on end, I turn up and I say, “I didn’t understand that, and well, how does he know, how do I know that then because nobody said anything about that in that scene?” so I sort of pick up a few, I may pick up a few tiny little things like that. I don’t really contribute hugely in the creative side of coming up with murders and stories and things like that. But I do think, I should put my mind to it and try to come up with it, but it’s REALLY hard. Also, it’s really hard to come up, if you suggest, “Well why don’t we have a murder at the birdwatching club or the flying club?”, every time, everything you suggest, somebody says, “Yeah, we did that. That’s Series 2, Episode 4. That’s Series 8.” They’ve done so much over the years, coming up with something that hasn’t been done is a bit of a challenge. Would you say that playing the role of John Barnaby has made you any more suspicious in your real life? Ahh no, I don’t think it’s made me more. It’s probably made me less suspicious, really. The great thing about Midsomer is, you know, I live in London, and people are attacked and people die and sort of, terrible things happen, but they happen in a sort of clumsy, violent, drunken, sort of, you know, the usual kind of terrible violence that goes on…whereas in Midsomer, you know, people are killed because a gargoyle’s fallen off their castle or something like that, they’re not the sort of everyday – or you know, somebody’s beaten to death with a wheel of cheese. They’re not the kind of everyday murders and events that make you think, “Oh no, that could have been me!” You think that it, it’s a little bit larger than life, so it’s got, which I think again it’s what people like. If you want to see, kind of, real horror and terrible things, it’s all over the news or in the street or something. Whereas if you want to just draw the curtains, pour yourself a glass of wine, and settle down for a couple of hours with some exotic fun murders, then Midsomer’s the place for you. Midsomer’s surprisingly safe, we kill a relatively few number of the people who come to Midsomer. 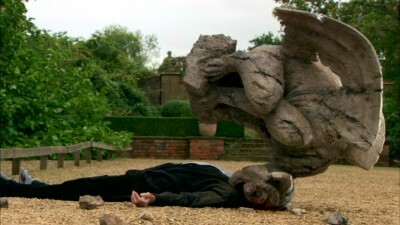 In fact, every episode we probably get about 15 guest actors, we never kill more than about 3 of them – and the area we cover, it’s a huge area, Midsomer, really. It’s kind of south Oxfordshire, Buckinghamshire, Berkshire, it’s a huge rural area full of little villages. I think of Midsomer like that and I think 350 murders in 20 years, it’s not that bad really. No more than 16 or 17 a year. I’m sure the real area has more than that. It’s not as bad as people think. No, it’s nothing, is it? Looking back on your roles prior to Midsomer Murders, were there any that you felt were really useful in preparing you for challenges of the series? I’ve done several sort of, police shows. I think I used to think, when I was a younger actor and I’d do police shows and I was the suspect or the villain, I always used to look at the person playing the policeman and think, “Oh, that’s a really hard job, because you’re the one who – if you’re the suspect and the policeman says to you, “Where were you on Wednesday night?” and you answer the question and “What about this? Where did you go then? And how do you know that?” they would always ask the questions and you’d just, on the question you’d get the queue as to what the answer is. Whereas, if you’re the policeman, I always thought that’s a really hard job, because if you’re the policeman you’re the one who has to remember the whole scene, and remember what comes next and remember what you want to know about next, so you’re sort of leading the scene all the time. So that always seemed to me to be much harder than being the one who’s being led. Of course now, I’m the one leading the scene quite often, so I’m having to remember what all the questions are about. So I learned that that was a difficult thing to do. So you need to be very very well-prepared. You need to learn your lines very very thoroughly, and then know where you’re going with the next question and the one after that and the one after that. I read a few years back, you said the writers on Midsomer always manage to surprise you with the identity of the killer, that you don’t always figure it out as you’re reading. Now that you have a few more seasons, is it getting any easier, or are they still tricky? I’m not really very good at that sort of thing. Again, it’s just not how my brain works. I’m not great at figuring these things out. And these writers, they’re very good at covering their trail, and I’m not very good at seeing through it. I’m probably thinking about other things. My mind’s on higher things or something. (laughing a bit) No, I never figure out who it is. If there were ever some sort of crossover and you had the opportunity to partner with another fictional detective, who do you think would be a good partner for you? Ooooh, Miss Marple would be good. I think a lady partner would be quite nice, and I think that would be good because we’re both in kind of rural areas, and I think I’d like to work with a nice older lady because they’re very polite and very thoughtful. I’d quite like that. Or…you could go the other way, and then you’d have to go with somebody very youthful and some sort of young superhero, but that might stretch the bounds of credibility too far, even for us. No, I think I’d go for a nice old lady so we can sit and discuss the case over tea and scones, and work out who did it. I think that’d be nice. 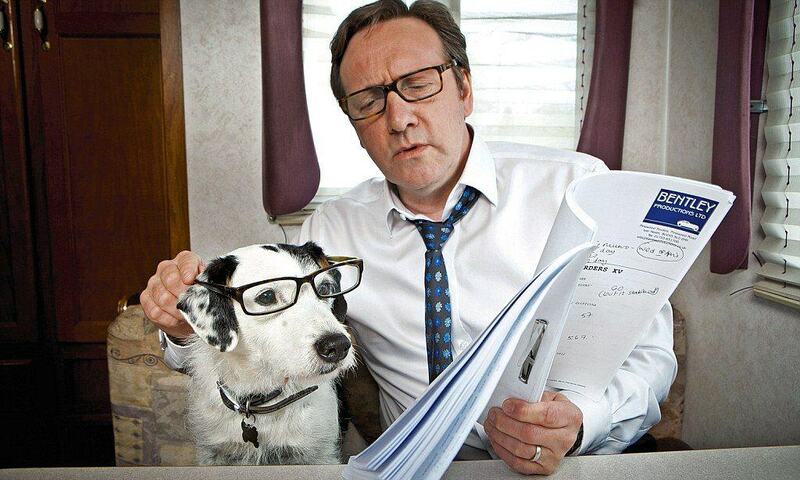 What do fans have to look forward to in the future with Midsomer Murders? What’s on the horizon? Well hopefully we’re filming again next year, it looks like that’s going on. I don’t know where you’d be up to with what your audience would have already seen. We’ve got a series, the last series, Series 20 that hasn’t shown in the UK yet. 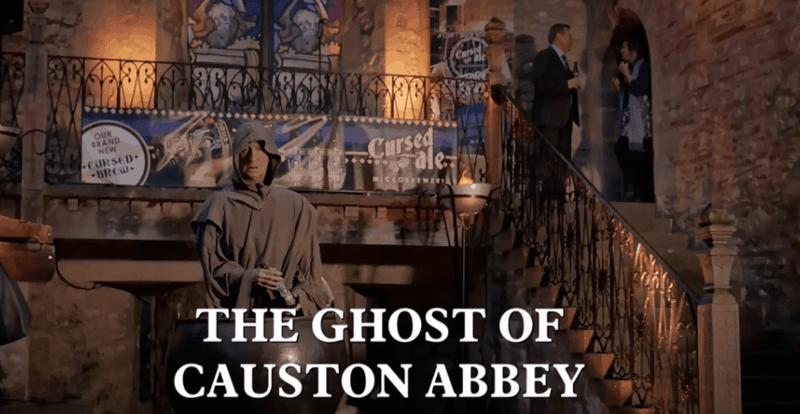 That’s got, I think the series opens with somebody being, something like a 14th-century monk being drowned in a vat of cider or ale. That’s one that we did. The Abbey, yes. There’s one set in, at a sort of Comic Con festival where people are dying during a Comic Con festival, and that’s a rather complicated, nicely worked-out solution at the end, as I recall, that one. What else? There’s one at the circus. We were all very surprised, having said that we’ve got to try and think of a new setting for an episode, they came up with the idea of having one at the circus. Everybody kind of went, “We must have done the circus.” We’d never done one set at the circus, and now we’ve done one set at the circus, which is great, with all the clowns and the trapezes. What else have we got in that series? I can’t remember what the other ones are about, I’ll have to think. But yes, there’s all sorts of new marvelous things coming up from that series, and as I say, it’s all looking like we’re going to be filming again next year, but I haven’t seen what any of the scripts and stories are like for next year, so…I’m looking forward to, hopefully, I might see something by Christmas. So I’m hoping, that’ll be exciting. I appreciate you have limited time, and I really appreciate that you took the time to talk to us this morning. 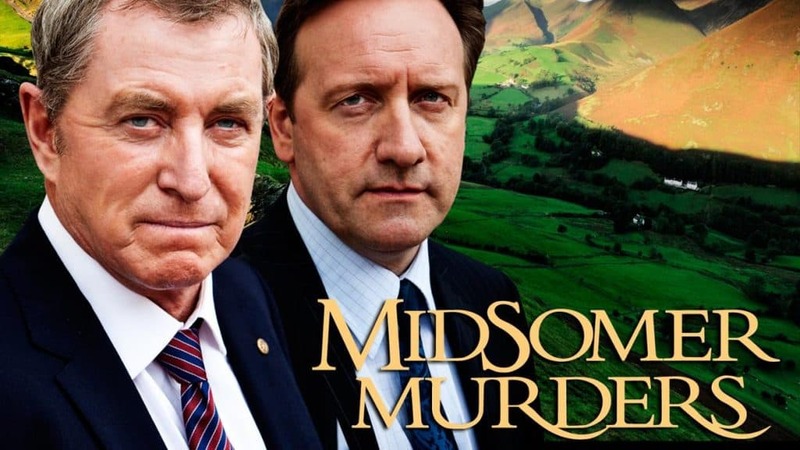 If you haven't already done so, you'll definitely want to head over to Acorn TV and watch the most recent season (Series 20) of Midsomer Murders. Based on the interview, it sounds like we'll have another wonderful season to look forward to next year, though I do despair for those poor writers who have to keep coming up with new and original ways to kill people after 100+ episodes.